As the Sew Illustrated blog tour comes to a close, Kristin and I are still in awe of all the amazing projects that we were treated to this week. I will admit, when we started out on this adventure of writing a book about sewing illustration, we weren’t completely sure how it would be received. 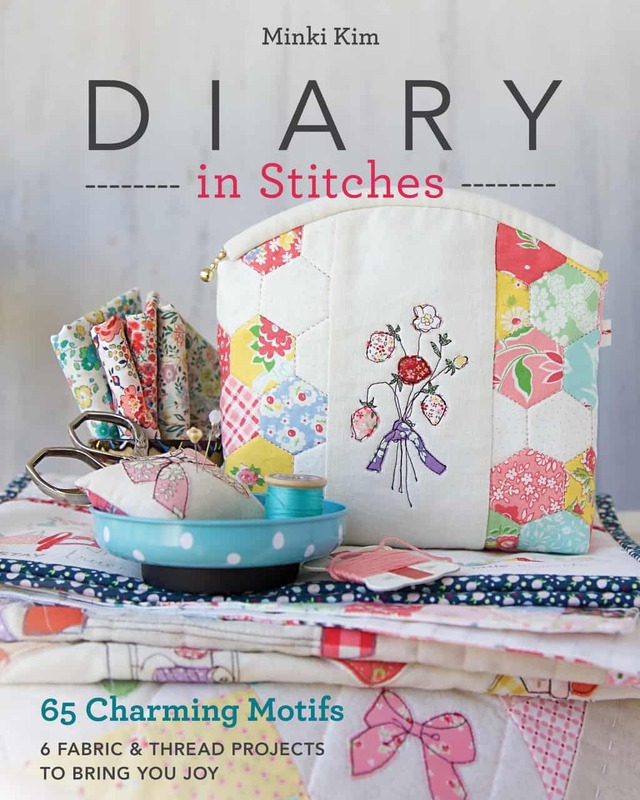 Since the release of Sew Illustrated and the stops on the blog tour—I am completely amazed and humbled at how beautiful all the projects are! I especially love when people take the technique and make it their own by adding their own little twists—their child’s drawings, a motif that is unique to them, or fabric choices that are completely their own. Next, Nadra of ellis & higgs proved what a perfect match her fabric line Backyard Roses is with sewing illustration. Her fabric choices and amazing stitching have me completely in awe! Just look at those charming coasters! 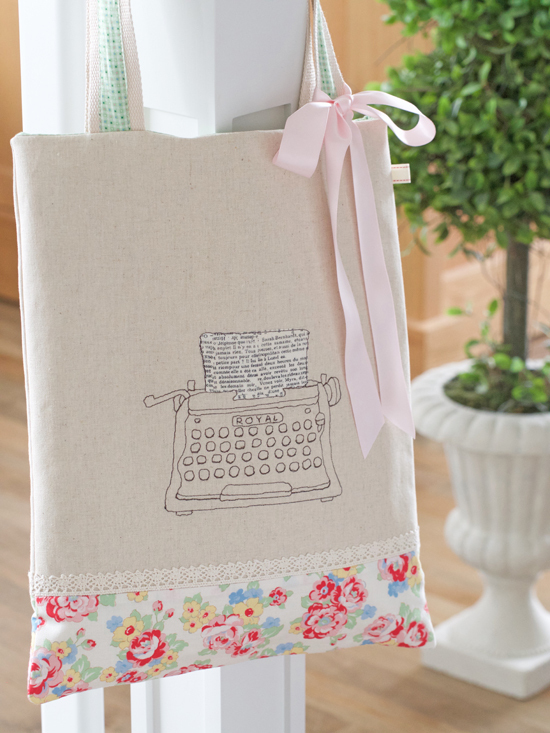 My dear friend Kristyne at Pretty by Hand stitched up one of my favorite projects from the book–the long handled bag with the typewriter motif. I love that she shared her first practice pieces and how quickly she learned and mastered the technique. And the result is absolutely delightful. Kristyne made me this super cute zipper pouch. I sorted this pouch into “Too cute to use” file so I am afraid it it gets dirty. Next, Elnora shared her House Zipper Pouch on Instagram. 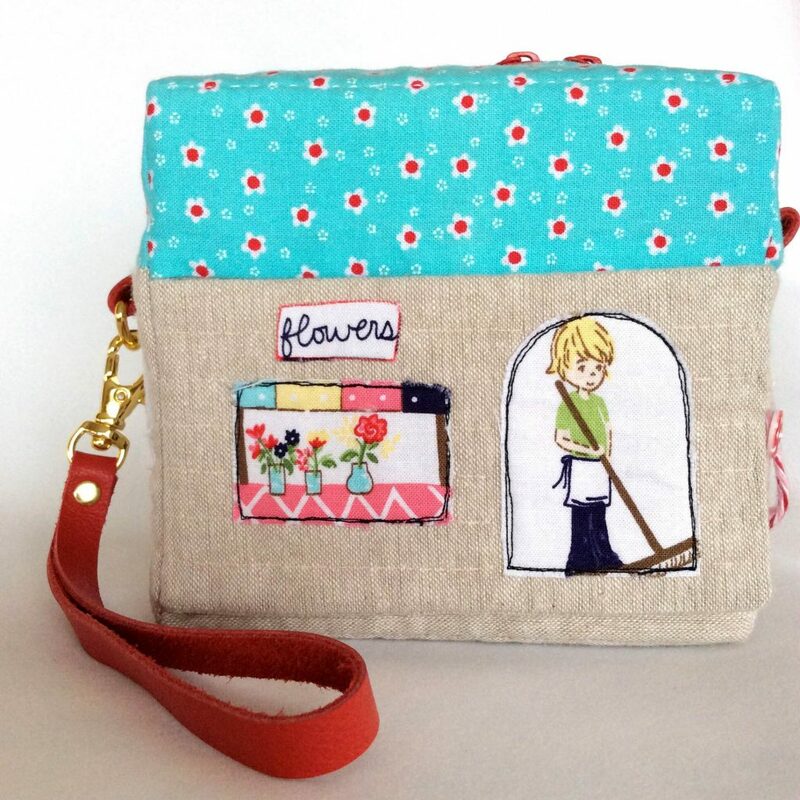 Here is another example of how creative people can be with sewing illustration. 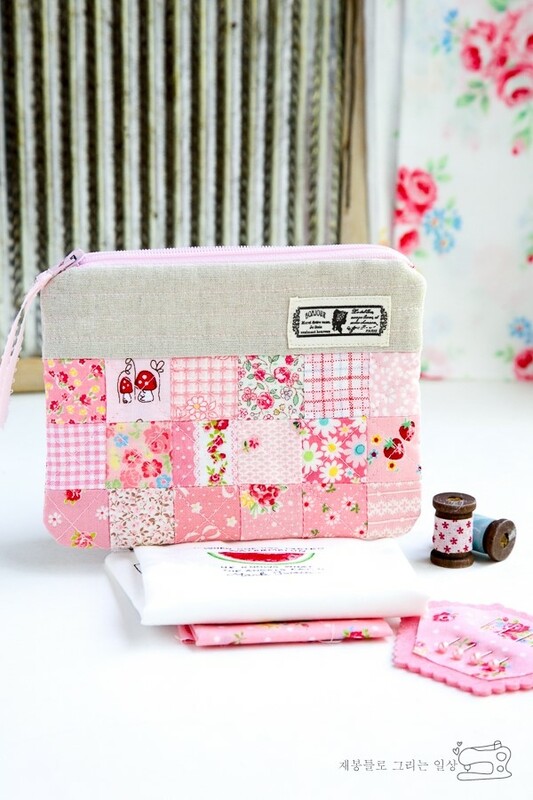 She took fussy cutting to a whole new level with this adorable pouch! She created a whole flower shop! And she even added a door that opens! If you haven’t watched her little video that shows off all the detail—take a moment now to watch it. For the last official make of the tour, Jennie at Clover and Violet proved once again that the combination of sewing illustration, Liberty fabric, and linen is an unbeatable combination. Especially polka dotted linen! I also loved how when she couldn’t find any dark thread—she just went with pink! Pink is always a good idea! Last but definitely not least, the tour takes us to the Aurifil blog, Auribuzz. 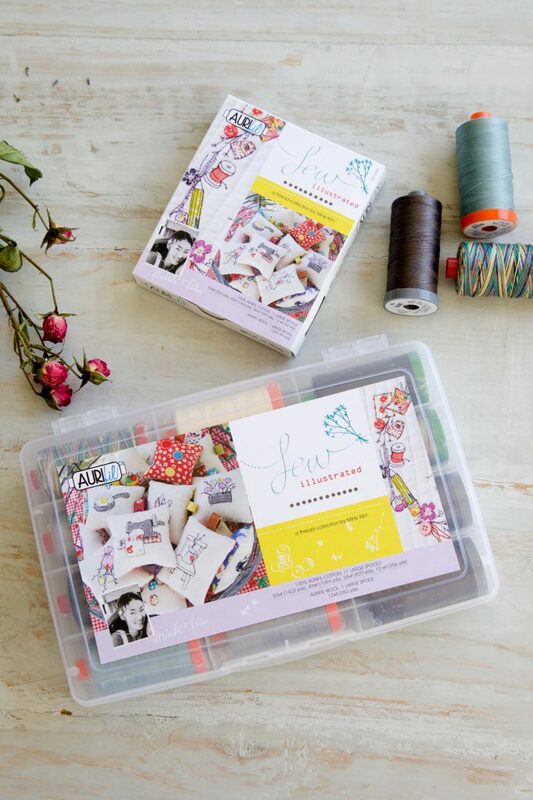 There is a bit of surprise here—Aurifil is announcing my new thread collection! I am so excited to introduce sewists of all types to using different thread weights. 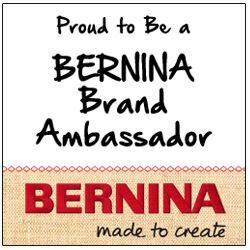 If you read the interview, you will find out what an eye-opening experience it was for me when I discovered Aurifil thread. People often seem to be a little bit nervous about giving sewing illustration a try. I am so glad that many of the bloggers on the tour confessed to feeling that way—but once they gave it a try, they found out that it is not only easy but also so much fun! I hope that you will find that as well. We love to see your projects! If you make a project from the book or use sewing illustration in one of your projects, please share it! 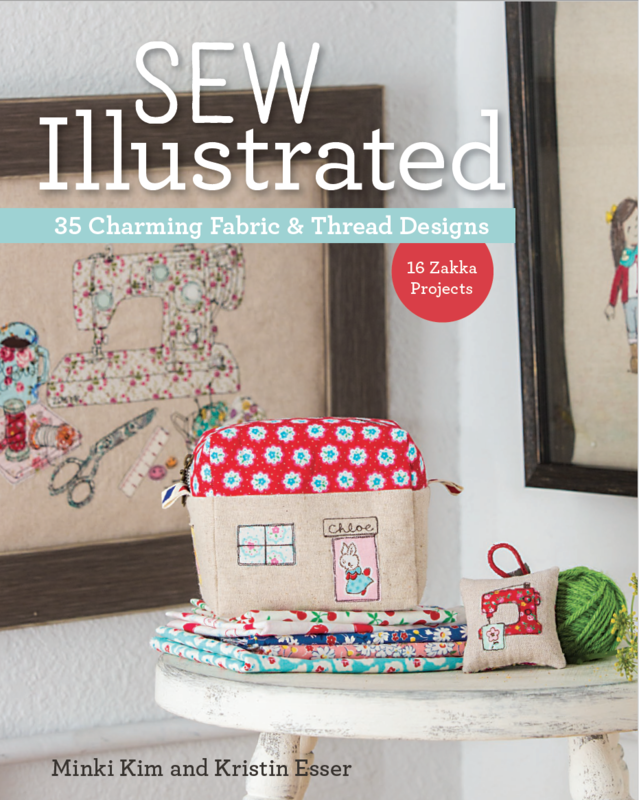 You can tag me and my co-author, Kristin and use the hashtags #sewillustrated and #sewingillustration. We will be checking them often to be inspired by you! This is the last day of the tour—I hope that you have been both inspired and entertained by all the talented bloggers we invited along the way. I know that I have! In case you missed any, here is the list one last time. C & T Publishing have kindly offered to giveaway a copy of the book to one of our lucky readers. If the winner lives in the US they will receive a hard copy of the book and for those of us outside of the US it will be the e-book. 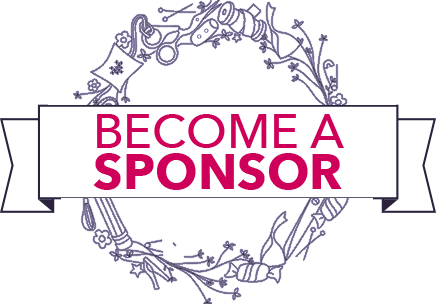 To enter into the competition please just leave a comment (right under the title) and make sure you have an email that can be accessed via your profile or leave your contact email in your comment so I can get in contact with you should you be the winner. So many beautiful makes from this blog tour! Loved seeing everything and now I’m so inspired! Hope there will be a sequel! This book looks fabulous. 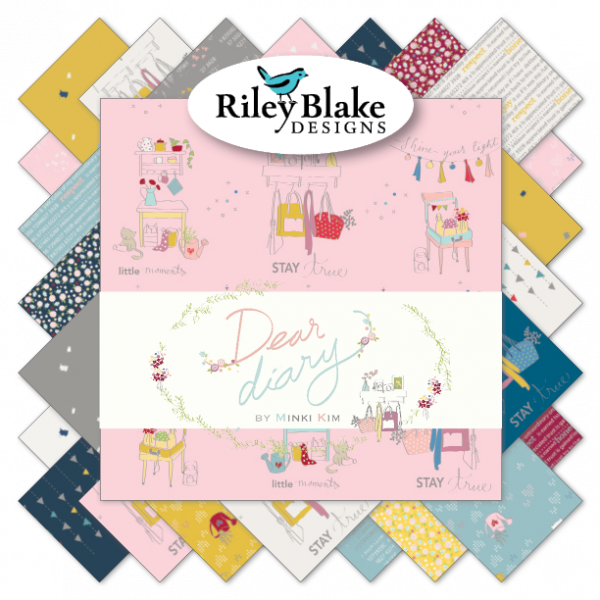 I have loved every project on the blog tour and would love to win a copy to have a go myself. It’s so inspirational. What a fun and inspiring blog hop! I’m not sure if I could do sewing illustration but I’m excited to try! I can’t wait to try your technique. Everything on the blog hop was so very cute and inspirational. I can’t wait to try your technique. Everything on the blog hop was so very cute and inspirational. Thanks for a great giveaway. This technique is really intriguing. Love all the examples I have seen. Would love to win the book and give it a try. Thanks for the giveaway and the wonderful book. Such lovely Projects. Thanks for the great giveaway ! I love all the project on the blog tour and would love to win this book!! Thank you!! I’m so inspired! Thank you for the giveaway! Your book looks so great and the blog tour has been so inspiring – thank you & thanks for the chance to win! I’d love to try this technique! All the projects are so beautiful! Thanks for this giveaway! So many inspiring pieces of art. I have enjoyed every stop on this inspiring hop, Minki! It has been exciting to see all the creative takes on your technique and I look forward to adding your book to my “must have” library. I have loved following the blog tour! All the projects are so lovely!! love everything I am seeing in the blog tour! so much inspiration! thanks for the chance to win the book!!! Such lovely makes, so much inspiration. Would love to win a copy, thank you for the opportunity. This is a great, fun way to add appeal to applique. Great idea! It has been inspiring to see the projects from this blog hop. Thread truly is like a paintbrush to create and design some awesomeness. Thanks for creating such inspiring projects and putting them all in this one book. Wonderful inspiration, now I want to make a bag to show off this thread technique. Thanks for giveaway. I love this technique and would love to give it a try! I especially like the coasters made with the Backyard Roses! This book looks fabulous! Can’t wait to give it a try. I would love to give this a try! You are truly an inspiration to all!! Thank you!!! Delightful book! I can’t wait to try this technique. Thank you so much for all the inspiring projects. I am looking forward to trying out the illustrating technique. It looks like fun! Beautiful book and projects. Thanks for the chance to win. Thank you so much for sharing all of these fabulous projects. I am so inspired and ready to give it a try. Awesome wrap up of some wonderful projects. Can’t wait to get my copy and get started! Wonderful projects. Would love to win a copy of the book. Beautiful sewing! I am so inspired from your book! This blog tour is great! I love what everyone made! What a fun blog hop! Thanks for sharing all the beautiful projects. I have definitely been inspired and entertained by the talented bloggers on this hop! Each project makes me want to try this technique and get crafty with sewing illustration. This is what sewing is all about..having fun and making beautiful things! I ve just changed my sewing machine, if I’m Lucky I will be able to try ! This has been a fun tour, great projects along the way. I have admired your work on IG for quite awhile. Everything you make is so beautiful!! 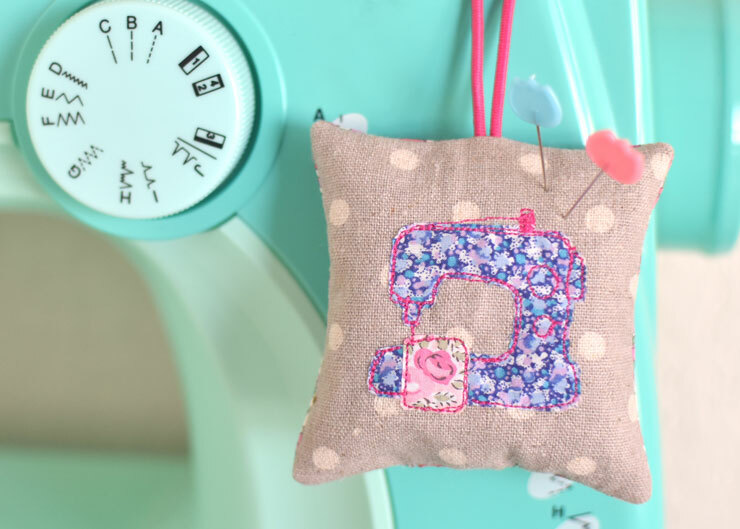 It has been fun to follow your blog hop for Sew Illustrated. Everyone made such gorgeous projects from your book and I am very inspired to try it myself. Congratulations on your new book!! I’ve loved seeing all the fabulous makes on this tour!! I’d like to try sewing illustrated too!! There have been so many fun and beautiful projects on this hop. I’d love to give it a try. i just started using aurifil a few weeks ago, it’s great. Beautiful projects!! I would love to make a bunch of projects from this book!!! I have loved this hop and seeing all the pretty projects. I’d love to learn how to do thread illustration. So many beautiful illustrations!!! Thay are amazing and your book seems lovely. These look darling! I love the simplicity of the outlines. Thanks for sharing! Love the sewing illustrations. I will have to get this book! Being able to make a design my own is my favorite part. This has been such a fun tour and has inspired me to give it a try. Heya! I’ve been a follower of yours for a while now and I just love all the sweetness you create. This book looks so inspiring! Thank you for sharing your creativity! So many great projects! Your book is the inspiration! Your book & projects inspired me to try something I always dreamed off but never tried: sewing illustrated. Thank you!!!! Very excited about your book, can’t wait to get it. 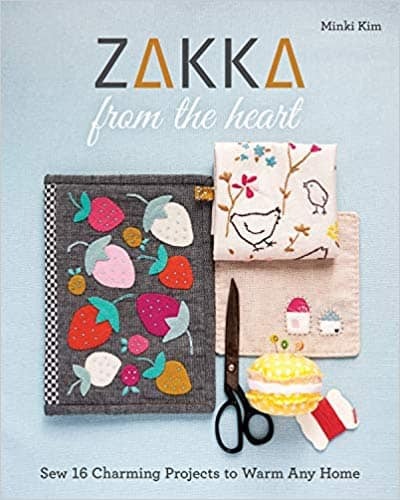 Such lovely projects in this book! thank you! 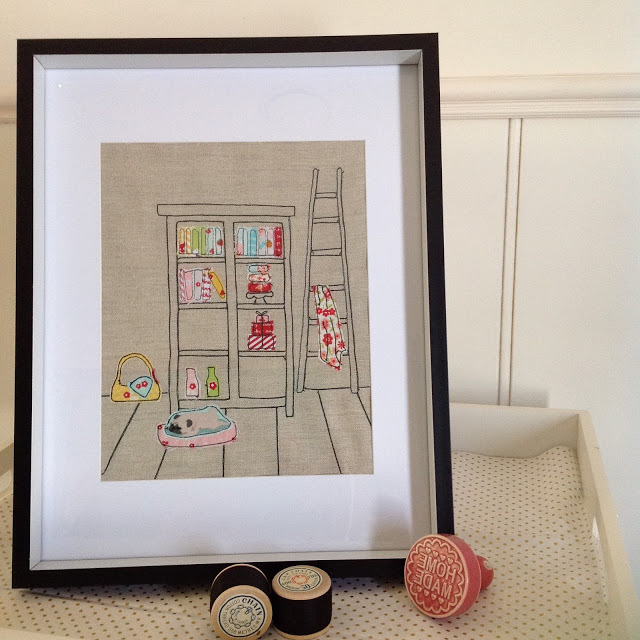 LOVE your sewing illustrations S much! The blog tour was wonderful, I enjoyed every project . You are a very talented and inspiring woman! What great projects. Thanks for the giveaway. 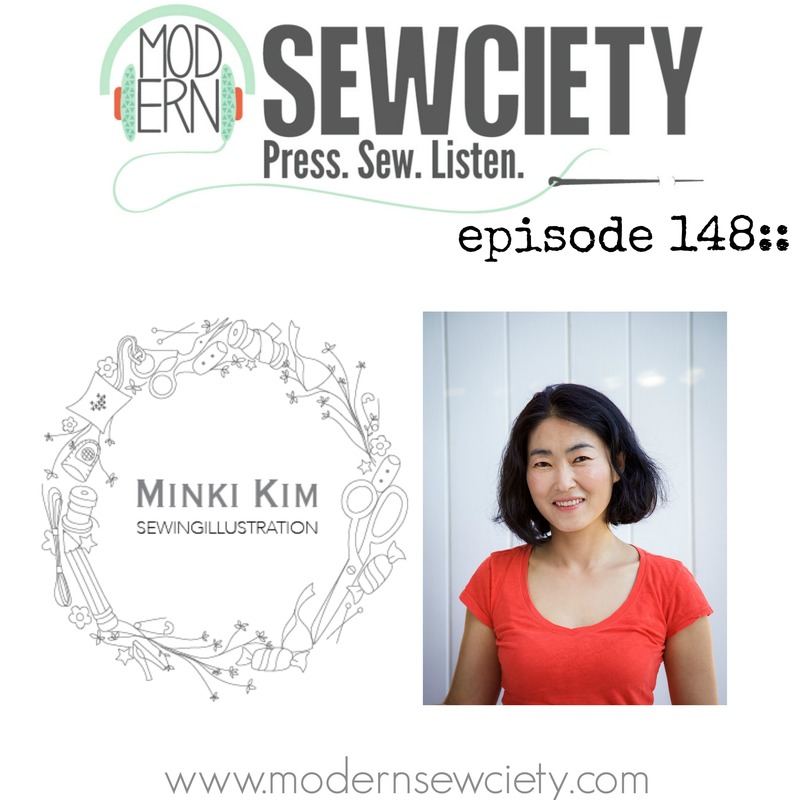 Minki, it’s just plain cool to meet you and discover you and Sew Illustrated. I too learned in childhood to stitch by machine and a bit by hand. Truly you’ve made it fun with all these “too cute” projects to embark upon. I love the relaxtion of sketching on fabric and then pulling out some varigated thread to give it a whirl. 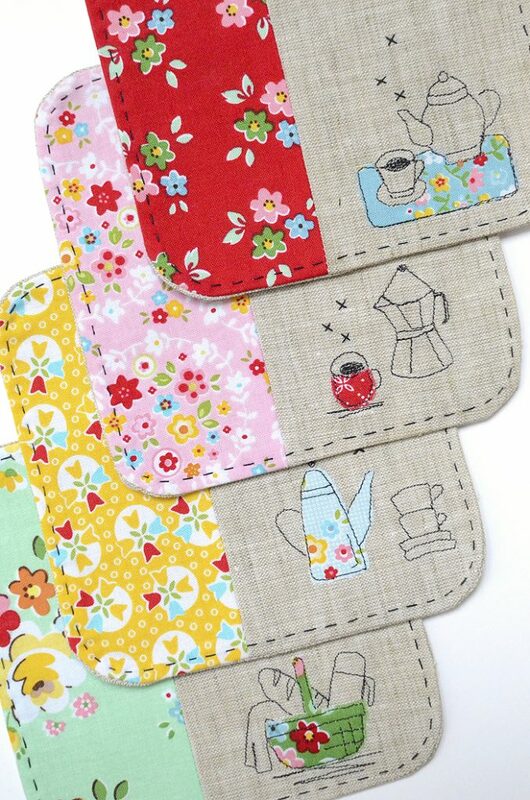 It just looks so beautiful to pair linen, premium cotton prints and Aurifil. Big Congrats! You are the winner. 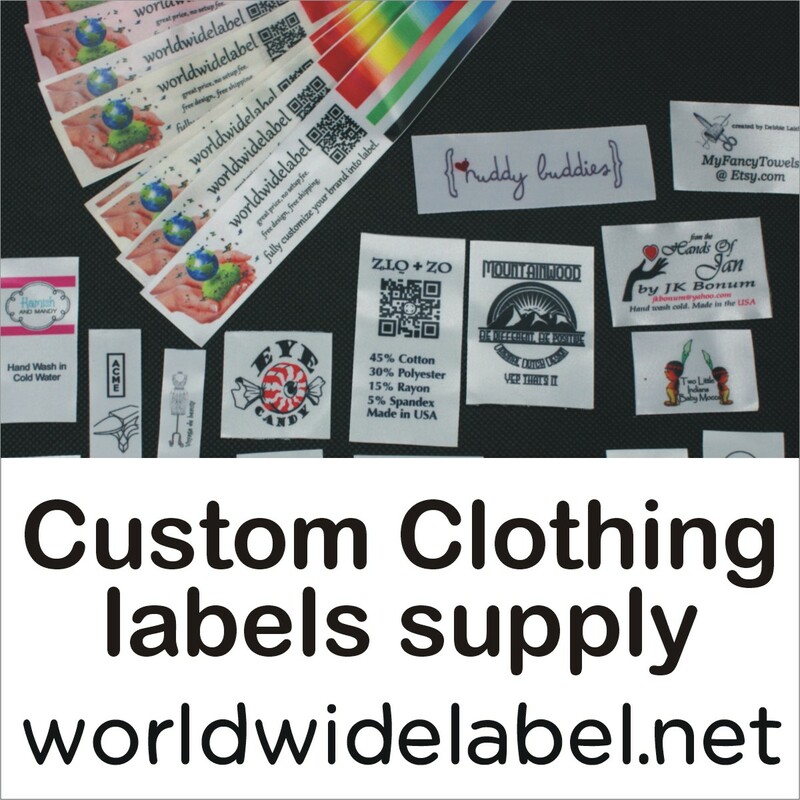 I would love to try several of your projects! I am new to quilting and free motion sewing!! My hope and dream is to use some of these techniques to create a quilt w each block a “picture” done in fabric of each house I have lived in as a kid–27 to be exact!!! I am so inspired by your work!! Thank you!